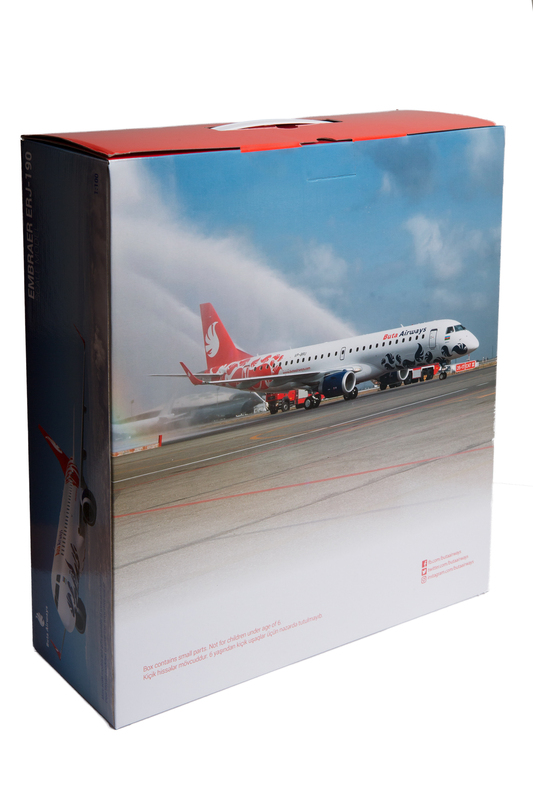 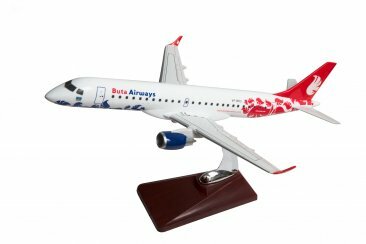 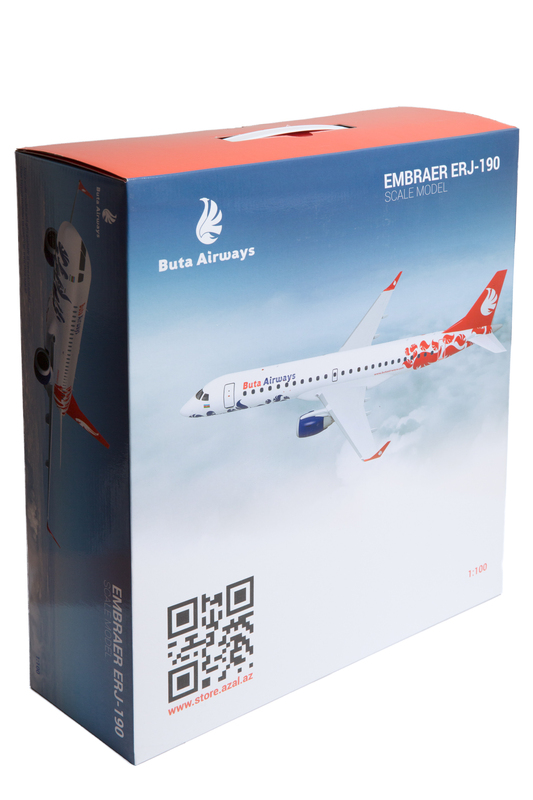 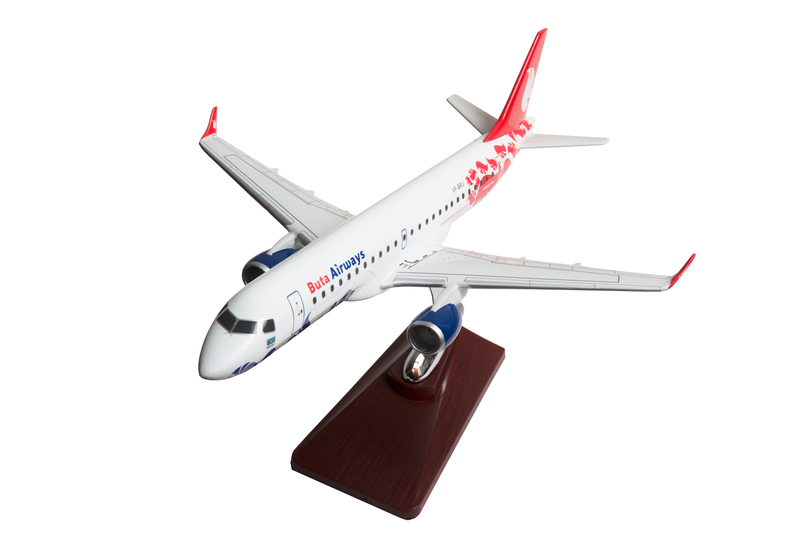 A collection model of modern cargo aircraft Embraer E190 in the livery of Buta Airways. 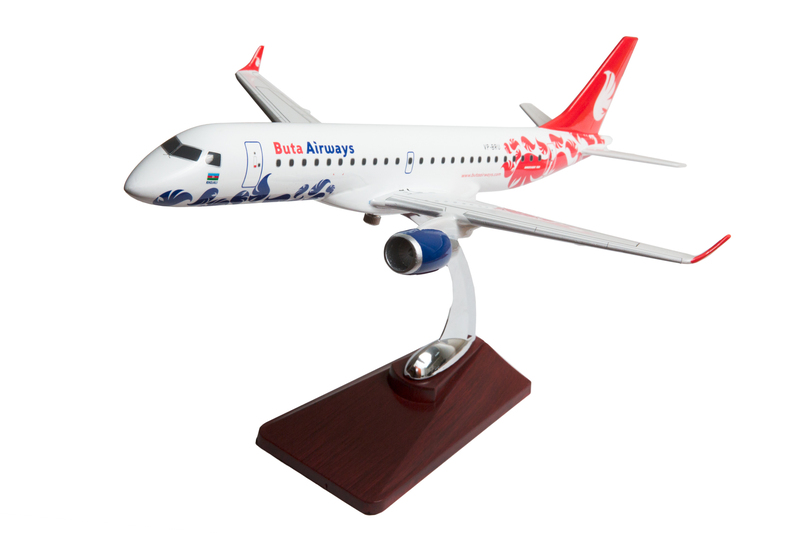 Scale 1:100 (approximate length 40 cm). Stand included.